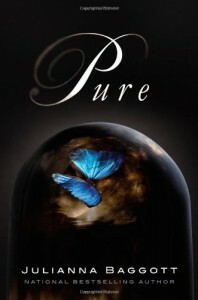 First Impression:It's not often when my first impression of a book comes from a book trailer, but that is definitely how I became aware of Pure. In the trailer, I was so impressed with how stark everything was. And the fusion of humans with animate and inanimate objects got my curiosity going.While Reading:Pure is not, definitely not, your typical dystopian. I almost felt going into the book that I was in a reading the book after seeing the movie type of situation due to the book trailer. And if I had thought the trailer was stark, I am not sure I could find the right word to describe the brilliance of the book.Pressia's world is divided. You are either Pure or not. You either live in relative comfort or you live everyday like it could be your last. For me, a dystopian is made or broken based on its world. 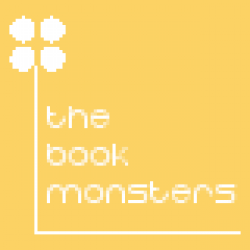 It is that fundamental element that sets the stage and can really drive the point home for a book. With Pure, Baggott nailed it. The world is vibrant in its simplicity and the utter destruction of the world as we know it. People outside of the dome have fused with objects, animals, and even other people to create a hybrid unlike anything I have ever seen before. Even at this new version of humanity's ugliest, it is beautiful.Pure is told from quite a few POVs: Pressia, Partridge, and a few other secondary characters. While I adored Pressia and Partridge's POVs, the other secondary characters were not my favorite. Although, the addition of the other POVs did add a nice layer of understanding to Pure. Giving the book an extra layer of depth that I think may have been missing had the other POVs not been added in.Final Verdict:Pure is not without its flaws. The plot sometimes ground to almost a halt a few times. And other times it seemed a little rush. But once it got into that perfect middle, I was in heaven. The romance, overall, was done nicely. A twist placed here and there so the experience was not tied with a nice little bow. Plenty of loose ends make up Pure's ending, and I know I will be back for more.